The secret compartment keyboard organizer is a keyboard that you can use for your computer that has a secret compartment by flipping up the keyboard where you can store secret documents, secret flash drives, secret paper clips, or secret cookie snacky cakes. 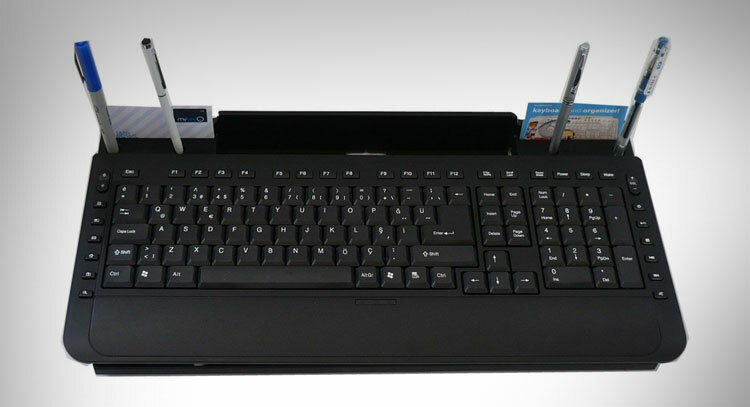 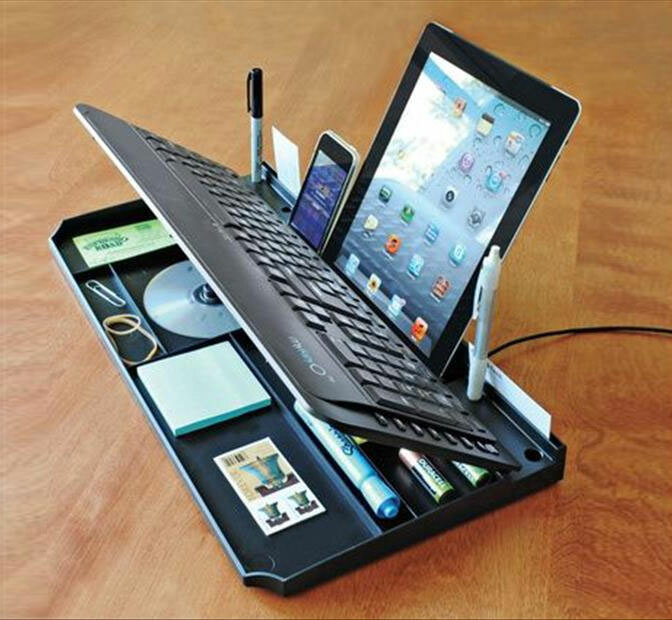 The keyboard organizer can also connect via bluetooth to your iPhone, iPad, or android device, so that you can type using a full sized keyboard instead of tiny touch keyboard on the screen of your device. 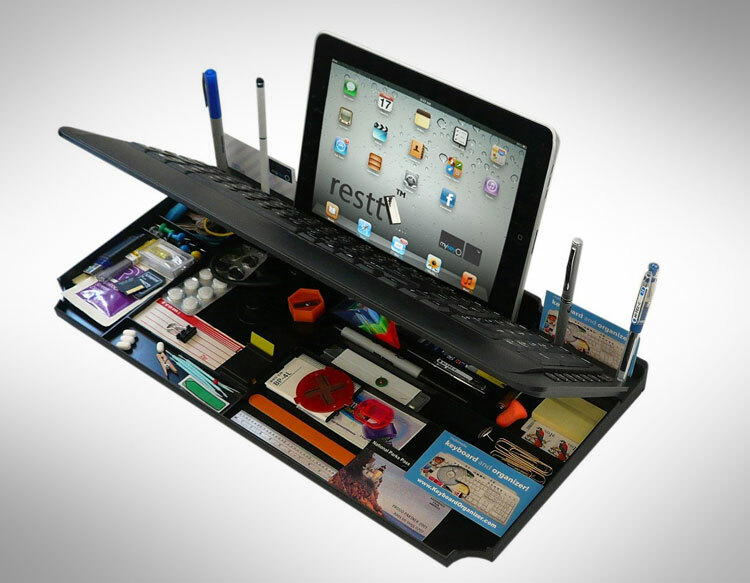 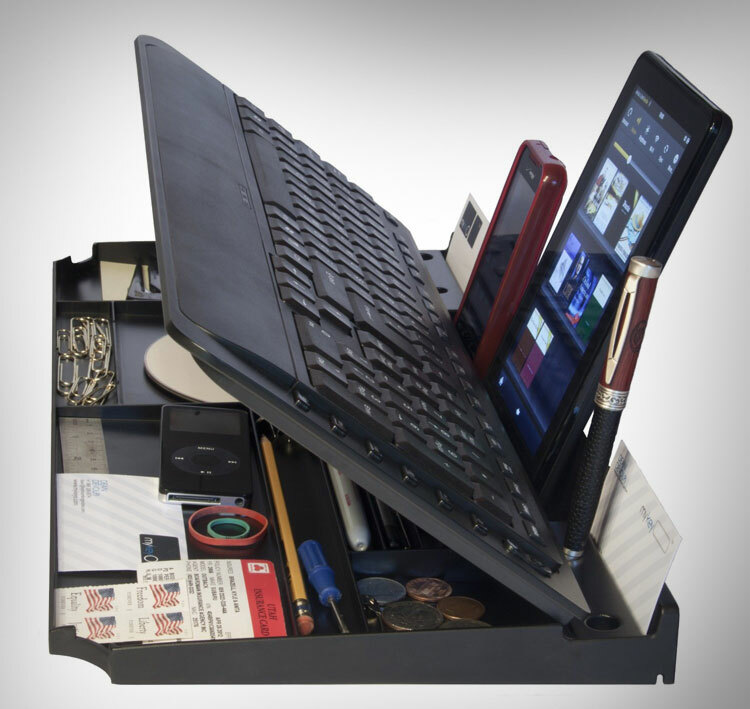 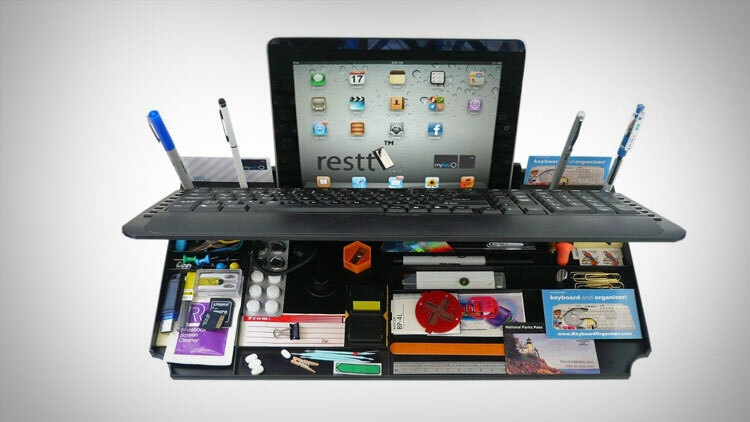 The secret compartment keyboard organizer is an award winning CES innovation, has four pen slots, has a slot on the keyboard to place your iPad, and comes in a plethora of different colors to choose from.